There are endless lists and blog posts about what you actually need for a newborn baby. It is usually significantly shorter than the list most shops would like you to have... but that is not to say that other 'non essential' items can't come in handy too! I thought it might be useful to think about the things that you will need for you after having a baby. After baby number one, I felt I was totally prepared for looking after a new born (OK, being a nanny before hand probably had a lot to do with that... I am also blessed with an amazingly supportive family on both sides!) But I felt woefully unprepared for how I would feel post labour. I mean, when you apply logic, it makes sense that your body might feel just a little traumatised after pushing a little one out... but I suppose at the time you are so busy thinking about what your little baby will be like and need, you forget about you. So, if you have had a baby you probably know a lot of these things, but maybe pass them on to your friends who are having babies and maybe add to the list if you think there is something I missed. 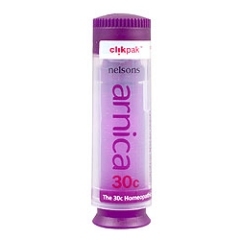 Arnica tablets. You will be a little battered, bruised and swollen down there. Start taking these as soon as you can post labour. They do not recommend you take them whilst breastfeeding, but I know this is something midwives often recommend breastfeeding or not, so maybe consult yours if you aren't sure. A LOT of maternity pads. You really can't have to many, personal choice for me was Sainsbury, they were comfortable and inexpensive but I definitely didn't buy enough and had to keep sending people to get me more. Big pants. You will want something soft and not too tight fitting and smart money says buy black... just incase. Flax seed. I ate porridge with blueberries, banana and honey for breakfast for the first couple of weeks, sprinkled with a good tablespoon of flax seed The first number two after having a baby is fairly terrifying, and you may well feel like your whole insides might fall out with the pressure. 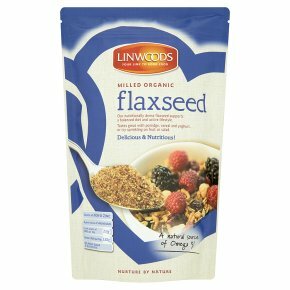 Flax seed is really good at getting everything moving and helps to prevent you from getting constipated. Comfy leggings. I couldn't put jeans (even maternity ones) on for probably two weeks. Admittedly I had an infection which didn't help, but I just couldn't bear the tightness of jeans so lived in a variety of leggings and different shirts/ long tops. Vest tops. Cheap and cheerful vest tops if you are breastfeeding will be your best friend. I didn't get on very well with any of the breastfeeding specific type tops and personally I find them to be ridiculously expensive. I far preferred to wear two tops, the top (usually a looser type) would lift up and the under one would pull down. This isn't particularly good for the straps, hence the cheap variety being key! It meant I could feed anywhere with modesty and ease! Good food in the freezer. Whether you want to batch cook before or buy a bunch of Cook meals (they do a 10% discount for new mums!) it is worth having a variety in. It is so important for your recovery and your milk if you are feeding that you eat well during this time. Tea and coffee. You will get a ton of visitors when the wee one arrives, so be prepared! I hope this helps prepare you for your new baby!